Riviera Nayarit is a sanctuary for sea turtles where more than a million are liberated during the nesting and liberating season, which begins in June and continues through February. Along its 307-kilometer coastline, there are more than a dozen turtle camps working to conserve and protect the different species of sea turtles that visit the beaches of Nayarit: the olive ridley, the hawksbill, the black and the leatherback. A rocky area is all that separates the Platanitos and Playa las Tortugas camps; these are among the most productive camps in the state, liberating over 250 thousand turtles per season. Both are managed by the Conanp—there’s even a security base just 4 km up the same beach. The zone boasts infrastructure, facilities, volunteer programs and gorgeous scenery. Every year in July, Platanitos hosts the Sea Turtle Festival; this year will be its fifth year. Peñita de Jaltemba is home to the virgin beach of El Naranjo and a turtle camp that offers all the basic services and an opportunity to set up tents for groups so visitors can experience protecting the sea turtles at a whole new level. They also organize the yearly “Saving the Sea Turtles” drawing contest. The busiest turtle camp is located in Nuevo Vallarta’s hotel zone: they release about 400 thousand hatchlings per year. It’s located across from Bahía del Sol and is managed by the Conanp. It offers activities throughout the year for visitors to participate. The Vidanta camp is also located in this same area. This camp is located in the town of Zacualpan and cares for 8 km of nearly virgin beaches, from Boca de Ixtapa to Boca de Chila. It currently has two protected areas along the main entrances to the beach and liberates approximately 70 thousand hatchlings per season. The Cultural Capital of the Riviera Nayarit offers several spaces that promote culture, the arts, community development and environmental protection. Because of this, it’s a very organized town where the turtles receive help and care. The Historic Port of San Blas is home to many species, including the sea turtle. Located on Playa El Borrego, the Aayetsie Wakie camp—a Huichol name meaning “turtle nest”—liberates some 50 thousand hatchlings per season. This camp recently opened on the north end of the beach to protect the sea turtles that comes to nest in the Riviera Nayarit’s Peaceful Retreat. The next time you visit the Capital of Surf in the Riviera Nayarit, consider visiting the turtle camp located across from Casa del Mar on the north side of the beach, which opened in 2007. Located in Monteón, Compostela, volunteers operate this camp, collecting and safeguarding olive ridley turtle eggs; it has grown considerably since it opened, having liberated some four thousand turtles in 2016. This turtle camp is located in Punta de Mita and serves two beaches along 4 km of coastline. This is where a GPS Satellite tracker was placed on a hawksbill turtle in order to monitor its movements, which helped the researchers discover there was a significant bale of hatchlings in the region. The La Puntilla, Sesteo and Corchos turtle camps, located on the Northern Coast of the Riviera Nayarit, have also joined forces to preserve these species. 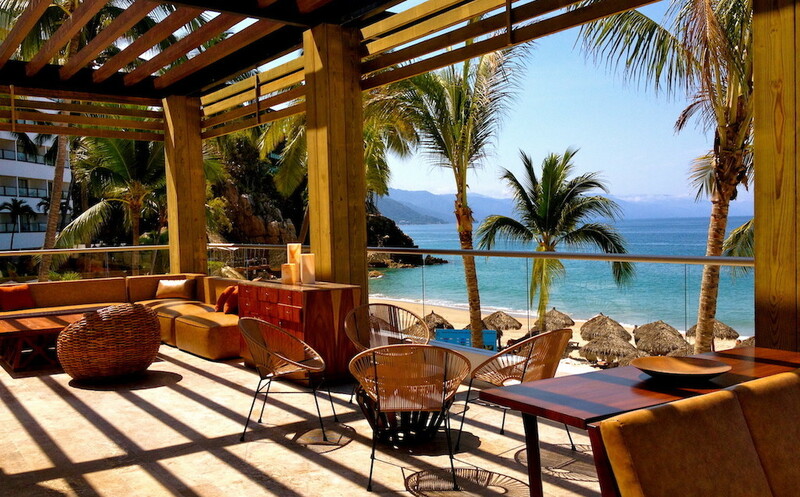 For original article, visit Riviera Nayarit blog.